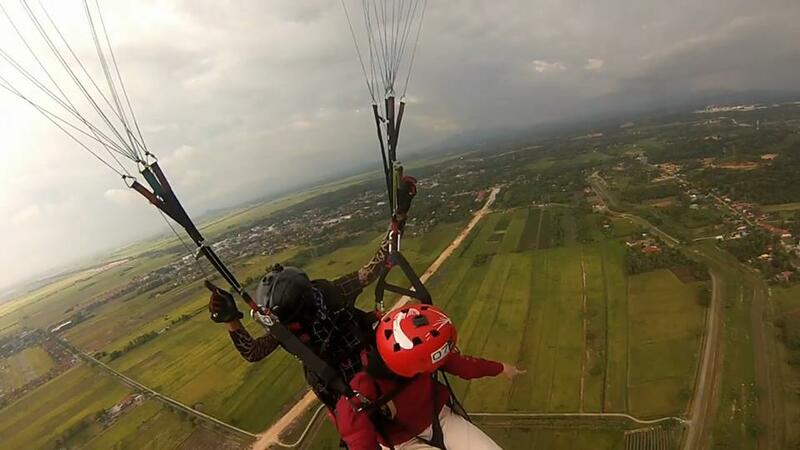 Make your way across the idyllic beauty of Yan's paddy fields - a paragliding experience not to be missed at Gunung Jerai! As you and your flying instructor leap off Gunung Jerai, you are greeted by three breathtaking elements. The paddy views of Yan, the Kuala Muda sea, and the lush greenery of Jerai forest take over your senses. Here the magnificent Gunung Jerai will come into view, as the cool wind brushes against your face. This tandem paragliding session will last about 10 to 15 minutes. No experience needed.